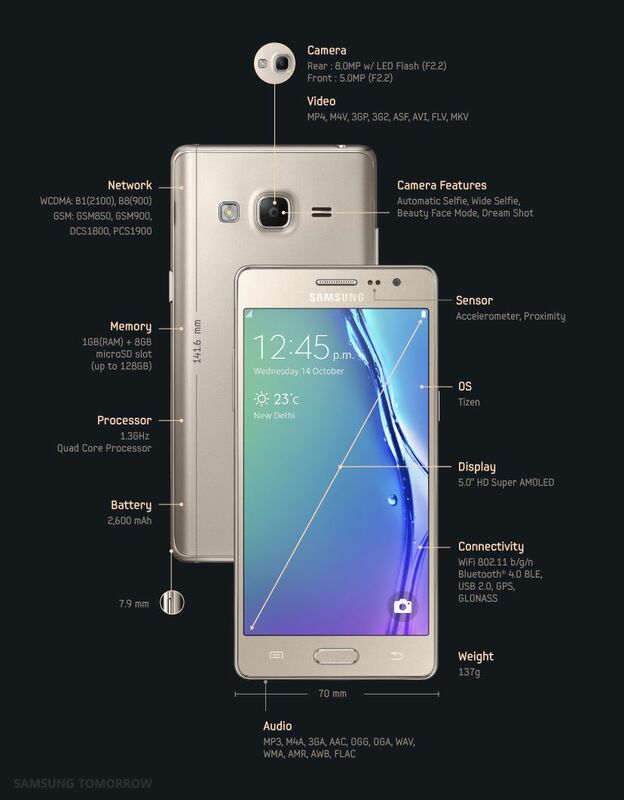 Samsung Electronics announced the Samsung Z3, an advanced Tizen-based smartphone that offers powerful performance and easy customization via exclusive, localized features including “My Galaxy” for easy access to nearby rewards and benefits. Built with a crisp 5-inch HD resolution display, the Samsung Z3 delivers the ultimate viewing experience with its Super AMOLED technology for clearer and deeper images, along with an advanced 8 megapixel Bright Lens camera to capture more detailed and higher quality images. In addition, the Samsung Z3 features an ‘Ultra Data Saving Mode’ that minimizes mobile data usage as well as ‘Ultra Power Saving Mode’ for continuous performance with low battery life. The Samsung Z3 features a superior 5-inch HD screen, made with Samsung’s advanced Super AMOLED technology that delivers clear images and excellent contrast ratio for true-to-life colors. The device is also equipped with an 8 megapixel Bright Lens F2.2 rear-facing camera that captures more light for visibly clearer and more detailed images, as well as a 5 megapixel front-facing camera for advanced selfie capabilities. The Samsung Z3 camera offers ‘Automatic Selfie’ for seamless selfies with facial recognition, ‘Beauty Face Mode’ that automatically retouches images for flawless skin and ‘Wide Selfie’ to capture up to 120 degrees of the users’ surroundings for the perfect group selfie shot. The Samsung Z3 supports a long-lasting 2,600mAh battery complemented by ‘Ultra Power Saving Mode,’ which allows users to operate on standby for up to 33 hours with less than 10 percent of battery life. The device also features ‘Ultra Data Saving Mode,’ providing data compression and management capabilities for up to 40 percent less mobile data usage. Designed specifically for the Indian market, Samsung Z3 comes preloaded with ‘My Galaxy’ app that offer consumers various exclusive services, local deals, entertainment content, continuous value on extensively used categories like recharge, travel, movies, fashion etc and post purchase assistance. The Samsung Z3 additionally features the ‘Mix Radio’ app, available exclusively for Samsung consumers. Mix Radio is the world’s most personalized free music streaming service with over 35 million songs to choose from, including extensive local catalogue of over 10 genres of Indian music. 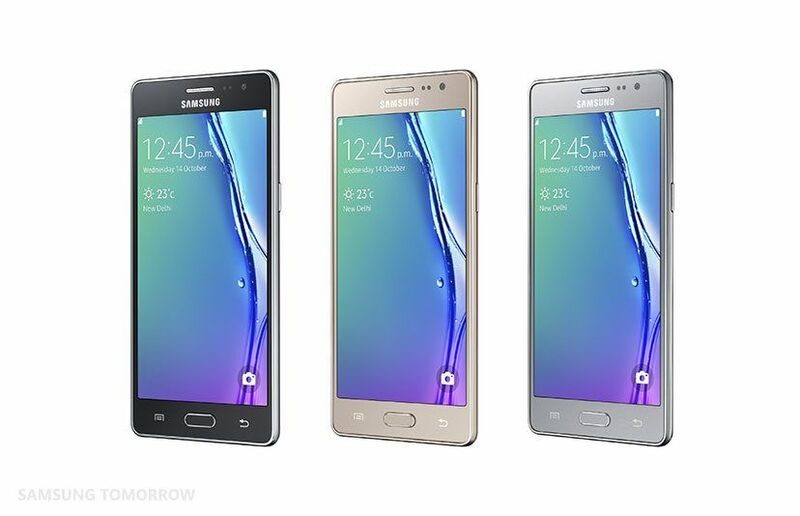 The Samsung Z3 is priced at INR 8490 and will be available in India from October in Gold, Black and Silver. *All functionality, features, specifications and other product information provided in this document including, but not limited to, the benefits, design, pricing, components, performance, availability, and capabilities of the product are subject to change without notice or obligation..